For centuries, humans have grown a wide variety of nutritious food, but most remain overlooked today. Out of the nearly 30,000 edible plant species worldwide, only 103 provide up to 90 per cent of the calories in our diet. These overlooked or ‘orphan’ foods are healthier than the staple crops which contribute to more than 60 per cent of the world’s calorific intake. Besides, they also help increase agricultural production in a sustainable way. They have the potential to grow in harsh climatic conditions, improve livelihoods of small and subsistence farmers, and need less water. Yet, they remain neglected, socially and economically. Millets, for example, is an ignored species, or what the Food and Agricultural Organization (FAO) calls a Neglected and Underutilized Species (NUS) in its new report, Smart Food Systems. Although they have more fibre and minerals than staple grains such as wheat and rice (ragi has 3 times more calcium than milk), their acreage in India has been steadily declining. Like millets, there are many other foods (livestock and aquaculture species are also included) like vegetables, fruits, spices, nuts and lentils that remain neglected. Many of these neglected food items grow in our backyards and can be prepared quickly. Adequate policy, research support, markets and consumer awareness are some of the ways in which neglected food items can help fight global hunger and malnutrition under the Sustainable Development Goals. Buckwheat: According to Aparna Pallavi, a former environment journalist who writes extensively on indigenous foods, buckwheat is not a grain as the name suggests, but a fruit seed. The high-fibre seed lowers blood pressure, blood sugar levels and cholesterol. It is rich in nutrients like flavonoids that protect against diseases by extending the action of vitamin C and acting as antioxidants. It is a good source of alphalinolenic acid, a type of essential fatty acid our body needs. For tribals in Sahyadri hills in Maharashtra, buckwheat is a way of life. Read a recipe of buckwheat pancake here and bhakhars or bread here. Amaranth: Traditional wisdom recognised the beneficial properties of Amaranths. Ramdanawas, a veritable ramban aushadh (a panacea of cures), alleviates piles, reduces eczema, provides relief in colic and acts as a diuretic. Boiled Amaranth leaves were applied as a poultice to reduce painful swellings, and at times, even to manage snakebites and scorpion stings. Indian farmers were well aware of its lactogenic effects, and fed it to their cows. Watch how to make a mango dessert with amaranth. Drumstick (moringa): India is the largest producer of the crop in the world and also the largest moringaexporter and meets 80 per cent of its world demand. Commonly known as moringa in south India, its fruits, leaves and flowers are all edible. All these are an outstanding source of vitamins A, B and C. Their calcium content is also very high. They also have very low levels of fat and carbohydrate and are rich in iron. Read a recipe of moringa elai sambar here. Fenugreek (methi): You can soak methi seeds in water overnight and drink the water to stabilise blood sugar levels. Sprouted methi seeds are even used to make medicinalhair oil in Kerala along with other herbs, and wet methi seed paste is a great poultice for treating skin inflammation and infections.” Read the recipe of methi ki launji here. Taro: The leaves of arbi (Colocasia esculenta), especially during monsoon, were turned into pakode, a fried snack. Pakodemade from leaves of arbi look and taste very different from the conventional pakode and are, therefore, called patode in villages of Uttar Pradesh. Read our book for a recipe of arabi patdoe. Sweet potato: The use of shakarkand to make sweets is a cheap yet nutritive ingredient. Rich in Vitamin A and minerals, this sweet tuber has a pleasant taste and lends a nice texture to Indian desserts like kheer, rabdi or halwa. Read the recipe of shikarkhand ka halwa here. Yams: You can have them boiled or roasted. In Maikal hills in Madhya Pradesh’s Dindori district, home to the reclusive Baiga tribe, the purple yam is known as ratalkanda. Here is a recipe of yams in Baiga style. By the way, there are 600 varieties of yams. Jackfruit: In 2014, Down To Earth wrote a cover story on how jackfruit caught the fancy of entrepreneurs in India. The largest known tree-borne fruit yielded results for many farmers in suicide-hit Vidarbha. Monkey jack is a lesser known variant of the fruit and all its parts are edible, unlike jackfruit. Read a recipe for a monkey-jack pickle. 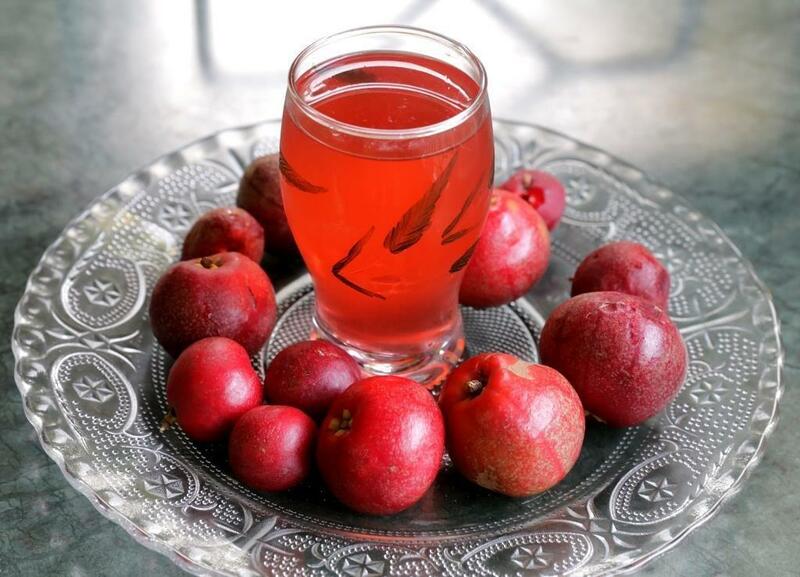 Kokum: Apart from the famous kokum drink, refreshing in this season, you can also savour an unusual dish made with kokum and peepal. See how to make peepal bhaji with kokum. The fruit is also now getting a new market thanks to the efforts of small-scale firms who are empowering.